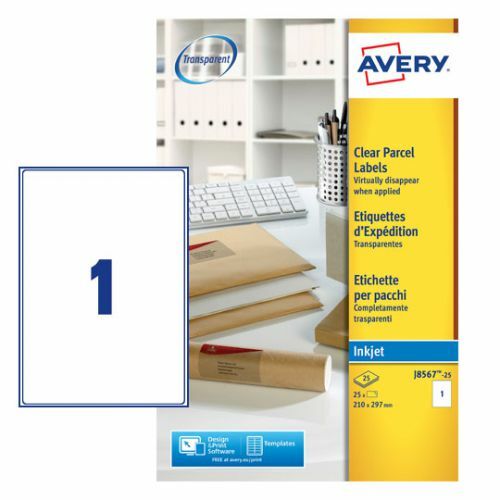 Avery transparent parcel labels give a professional finish to your packages as it looks like the text has been printed directly onto the package. Whatever the colour of the packaging, these clear labels virtually disappear, especially great for those custom printed parcels and packages with your own branding. And with our unique QuickPEEL feature, you can peel and apply your labels quickly and easily. These clear labels come in 210 x 297mm format with 8 labels per sheet and can be used with all popular inkjet printers.